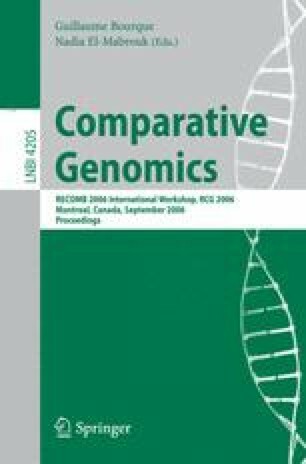 The computational identification of DNA binding sites that have high affinity for a specific transcription factor is an important problem that has only been partially addressed in prokaryotes and lower eukaryotes. Given the higher length of regulatory regions and the relative low complexity of DNA binding signature, however, methods to address this problem in higher order eukaryotes are lacking. In this paper, we propose a novel computational framework, which combines cellular network reverse engineering, integrative genomics, and comparative genomic approaches, to address this problem for a set of human transcription factors. Specifically, we study the regulatory regions of putative orthologous targets of a given transcription factor, obtained by reverse engineering methods, in several mammalian genomes. Highly conserved regions are identified by pattern discovery. Finally DNA binding sites are inferred from these regions using a standard Position Weight Matrices (PWM) discovery algorithm. By framing the identification of the PWM as an optimization problem over the two parameters of the method, we are able to discover known binding sites for several genes and to propose reasonable signatures for genes that have not been previously characterized.